Connor and I both come home from school hungry so I’m always looking for healthy snack ideas that will hold us over until dinner. 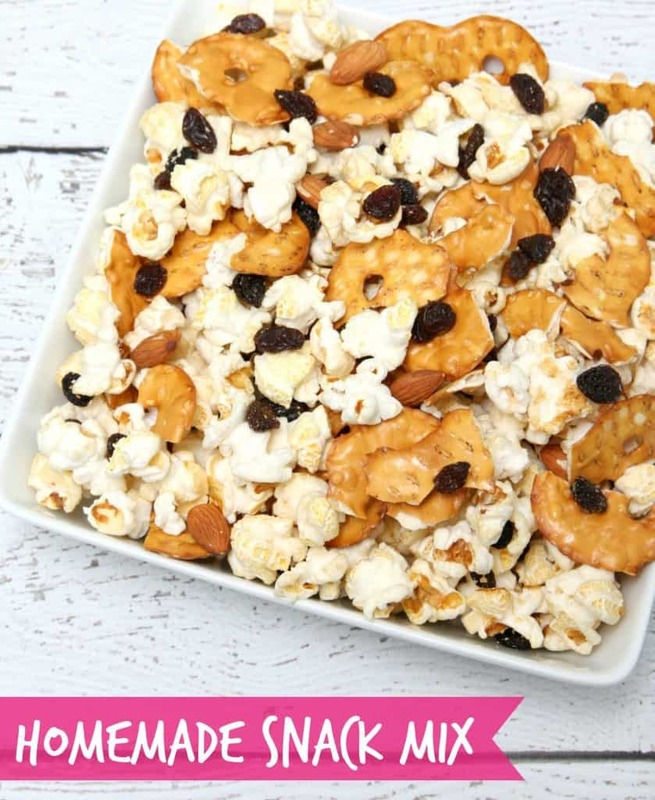 This snack mix is super easy to throw together and tastes great. Plus, it’s healthier than other snacks and makes a great snack for homework time. 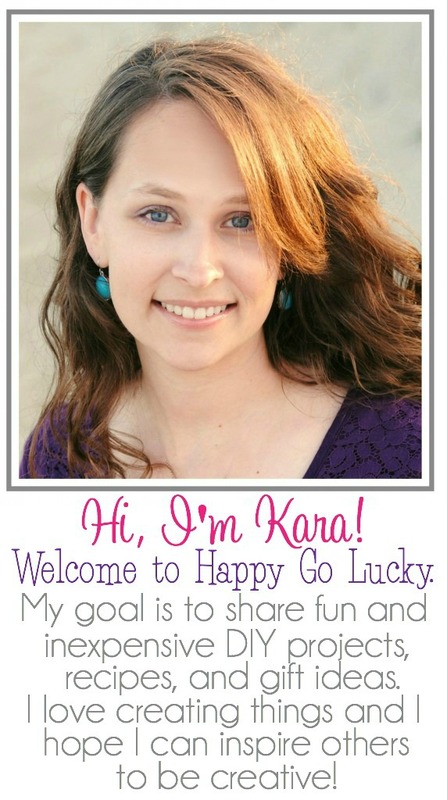 Are you looking for a healthier after school snack? This snack mix includes clean products which means everything in the mix contains ingredients that I can read and understand. My favorite thing about this recipe is that it’s the perfect combination of sweet and salty. The addition of California raisins add just the right amount of sweetness and I love that they are all-natural, dried-by-the-sun fruit you can feel good about eating. Did you know that raisins have ZERO fat, no cholesterol and no added sugar? Convenient and portable, California Raisins are a great choice for wholesome, healthy, on-the-go snacking. And they are a great value, too! 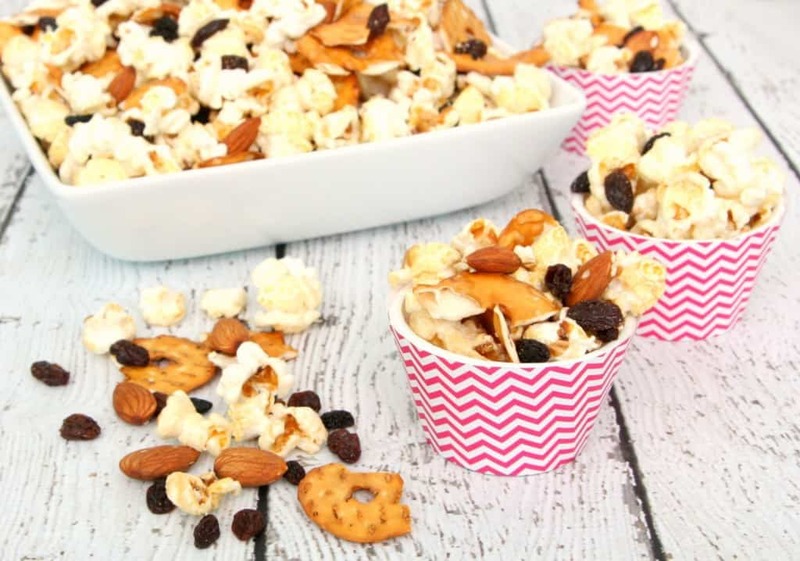 We love adding raisins to muffins, cookies, oatmeal – and, of course, this snack mix. 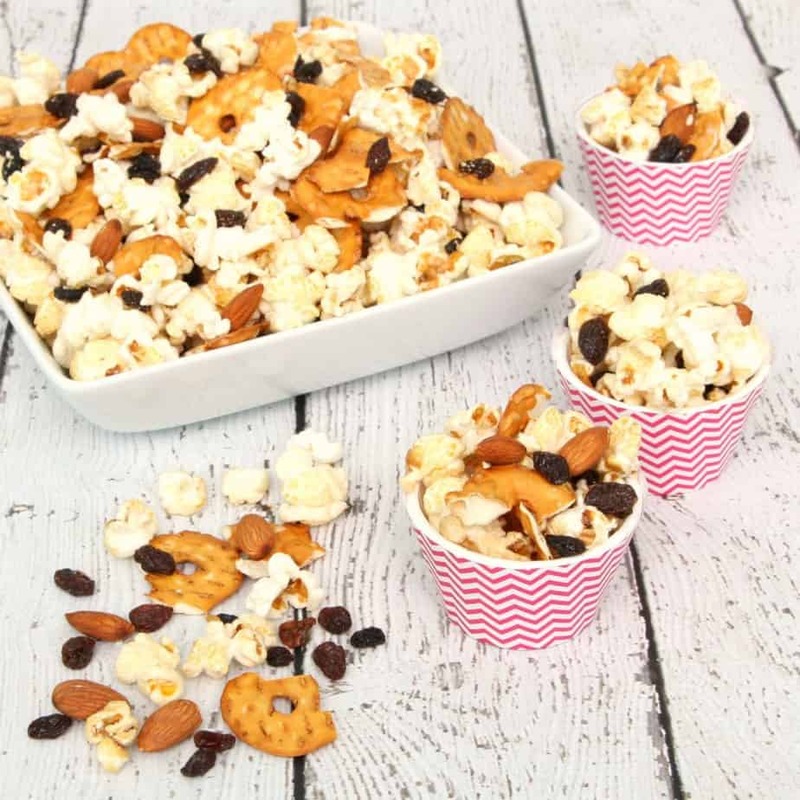 And, the best part – Connor can help me make this homemade snack mix! Add all ingredients to a ziplock bag and seal. Gently shake bag until ingredients are mixed together. For more information about California raisins, visit www.loveyourraisins.com or follow them on Facebook where you can sign up to receive a California Raisins prize pack! Limited supply; while quantities last. What’s your favorite recipe that includes raisins? Looks so tasty and so healthy too! This sounds like my kind of snack mix, yum! This looks like a great after school snack!